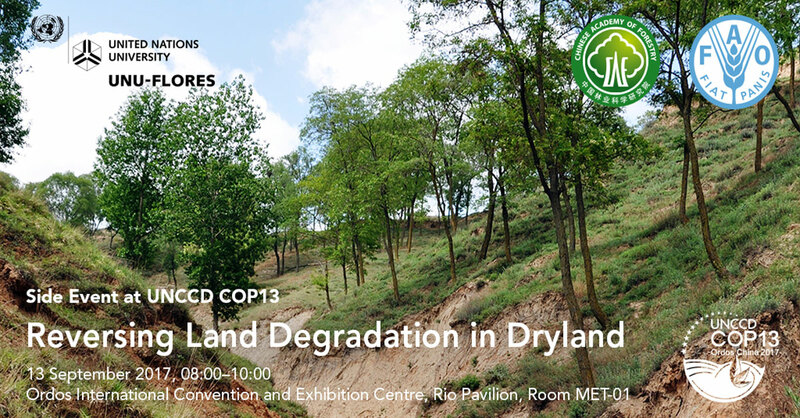 This side event to COP13 of UNCCD will invite scientists, implementers as well as policy and decision makers to address the land-based adaptation measures in dryland areas. 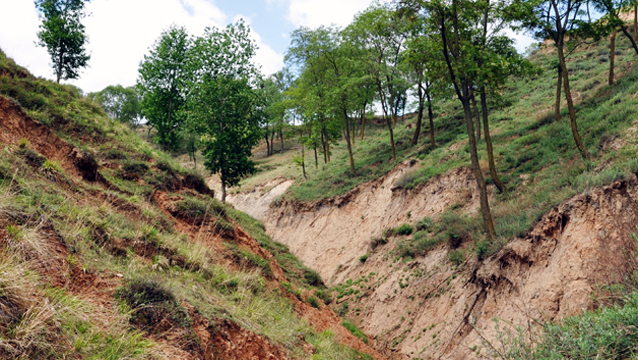 To this end, China’s afforestation programmes will be used as an example to discuss the following themes: (i) evolution of China’s environmental protection policies, (ii) impact of these policies on soil/land and water resources, and (iii) strategies to revise existing land policies to cope with new challenges. Each theme will be introduced by an expert in the field. A panel, which includes representatives from the provincial government as well as practitioners and implementers, will then elaborate on how political, socioeconomic, and ecological challenges for the implementation of multifunctional forest and land-use systems challenges can be overcome. The participants will learn that multifunctional forest and land-use systems may have multiple benefits for different sectors. By sharing this knowledge we hope to encourage a dialogue on knowledge gaps and possibilities for maintaining and developing environmental resources, such as land/soil, forests and water, based on cooperation between decision makers, scientists, practitioners, and stakeholders. Such activities will enhance the ability of national governments to achieve SDG 15 (Life on land) and simultaneously ensure human wellbeing, food, and water security as well as healthy ecosystems. Dryland ecosystems are particularly vulnerable to changes in land use and climate because of water scarcity. Thus, to ensure livelihood on land, there is a need for scientific guidance and policy support to maintain a healthy natural environment and to protect and develop environmental resources (e.g., land and water). Such support is key for improving soil productivity for food security, and increase resilience of dryland areas and rural population to climate change. The state-of-the-art knowledge on experience in managing soil, water, and forest resources provides relevant information for evaluating existing programmes and informing policymakers. 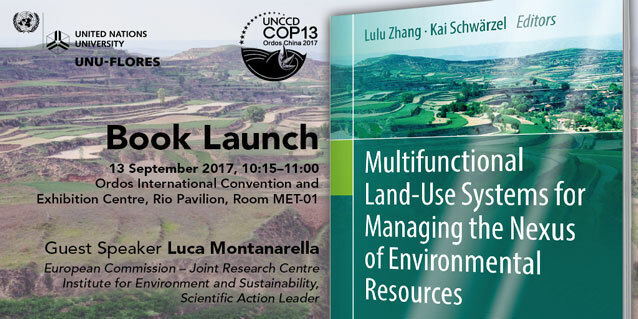 It can be used to identify challenges, while reviewing incentives and obstacles for the adaptation of sustainable land-use practices and poverty alleviation at different levels, in turn shedding light on the critical linkages to reinforce responsible governance of land resources.